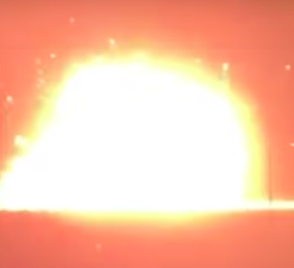 Kimberly Santleben-Stiteler celebrated her divorce by detonating her wedding dress. Santleben-Stiteler, from near San Antonio, Texas, laced her gown with 20 pounds of Tannerite, stood pretty well back and shot the dress. If you’re in the area and hear the pitter-patter of something falling on your roof, those are rhinestones.